There are lots of recipes out there for dressed up or added-to banana bread (chocolate chips, caramel, strawberries, etc. ), and there's nothing wrong with that. But sometimes you just want a slice of good, old-fashioned banana bread. 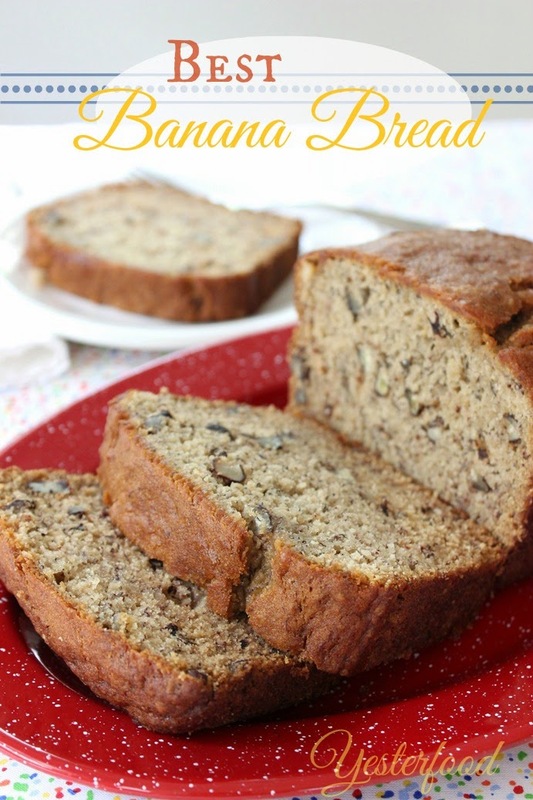 There are also lots of great banana breads out there....this one is my best. Sweet, moist, and fragrant, this deeply-flavored banana bread will win a place in your recipe box. 1. Preheat oven to 350 degrees. Grease the bottom of a 9 X 5 loaf pan (or two 8 X 4 pans). 2. 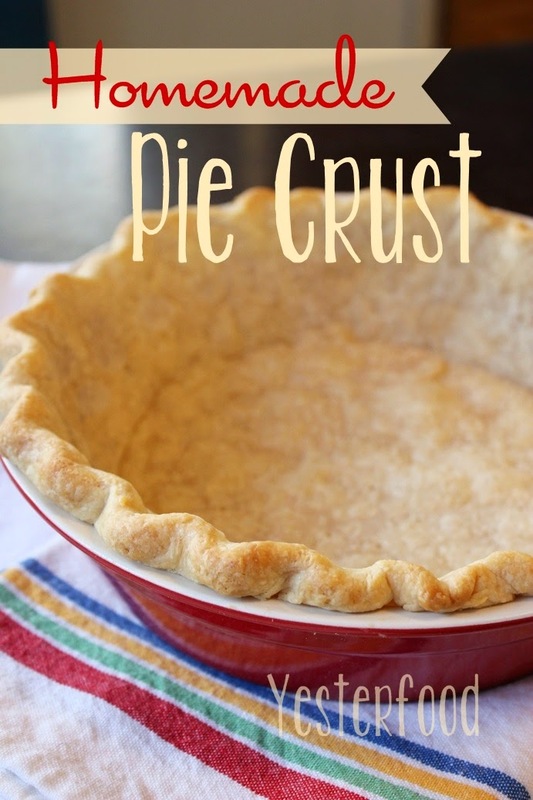 In a large bowl, mix sugars and butter with an electric mixer on low until smooth. Add eggs, bananas, buttermilk and vanilla. Beat on medium until well combined. 3. Combine flour, soda and salt in a medium bowl. Whisk to combine. Stir in nuts. 4. Pour flour mixture into banana mixture and fold in by hand, just until moistened. Pour batter into prepared pan, and bake for about 1 hour and 10 to 15 minutes, or until toothpick inserted in center comes out mostly clean (a few moist crumbs are OK). Times are for 9 X 5 loaf. You may have to adjust time for 2 smaller loaves. 5. Cool in pan on wire rack for 10 minutes. Using a thin knife, loosen sides of bread from pan and remove loaf from pan onto cooling rack. Let cool completely before slicing. Store tightly covered. May be even better the next day. Keeps well for about 4 days. This was adapted from an old Gold Medal Flour recipe that my mom has made ever since I can remember. I tweaked it slightly, replacing part of the granulated sugar with brown sugar, and using syrupy frozen bananas. It can be made with regular ripe bananas, of course. Cook's Notes: I used 3 large bananas that had been frozen (whole and unpeeled) and then thawed. To do: put very ripe, unpeeled bananas into a zip lock freezer bag, press out all the air, and freeze. Bananas will turn completely black, but they're fine- it's just the peels. When ready to use, leave bananas in bag and thaw on counter or in fridge overnight. Don't peel until ready to use. Thawed bananas will be soft and liquidy, and you'll think, "eeuuww". Peel bananas over a bowl and use all of the banana pulp and juices. They are a little darker than fresh, but the sweet banana taste is perfectly intact. About 55 minutes into baking, the loaf had browned enough, so I rotated it and turned the heat down to 325 degrees for the rest of the baking time. My Best Banana Bread may have been taken to some of these fun parties! That is so true, it's nice to have the original every once in a while, great recipe! Looks delicious--I have some bananas in the fruit bowl that are just about ready for bread. Thanks. This looks so moist! I love banana bread! I love banana bread -- a nice thick warm slice with cold butter on it and a fresh cup of coffee to go with it. Yum! I will have to try this one but I sure wish banana prices would go down! I love banana bread too!! Gotta pin this for sure! What a gorgeous loaf of banana bread. Thank you so much for joining us at Simple Super Tuesday. You are right…sometimes simply banana bread is all you want. I love to butter some and toast it under the broiler like my Mother use to do….yum! Hi! Dropping by from fabulous party! I just love banana bread. You can have it in the morning or as a snack! G'day! I can almost smell this from here Joy and want to try some right now! Plain Jane banana bread is the best. Yum. I'd love if you'd come link up at Tickle My Tastebuds! I love banana bread. Your banana bread looks supper moist and delicious. YUMMY! I would love a piece with my coffee this morning. Joy, this looks amazing! Banana bread is one of my favorite treats. I can't wait to try your recipe! Perfect timing - I have some mushy bananas and I am looking for a new banana bread recipe, thank you! Stopping by from the Time for Mom bloghop! Joy, love you photo's and the way you did the title. Looks delicious! Consider your bread pinned! Haha, It looks so good. I want a piece! I'm stopping by from the blog hop. Please stop by to say hi if you get a chance. I hope your enjoying your Tuesday! Thank you for sharing your awesome recipe! 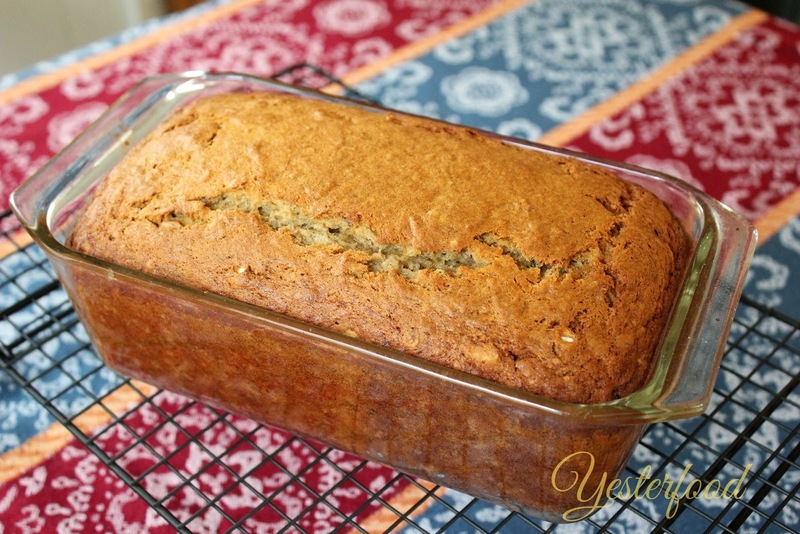 I absolutely love banana bread and make it all the time! YUM! You know I love banana bread. I just featured you at: https://www.facebook.com/recipesforourdailybread/posts/713867598674249 Thanks for stopping by and linking up with Wonderful Wednesday Blog Hop! Oh my, this looks delicious. Thanks for sharing your recipe with us at Wake Up Wednesday Linky Party. I love your simple banana bread recipe. I have a bunch of bananas in the freezer - pinning to try this weekend! Thanks for hosting. 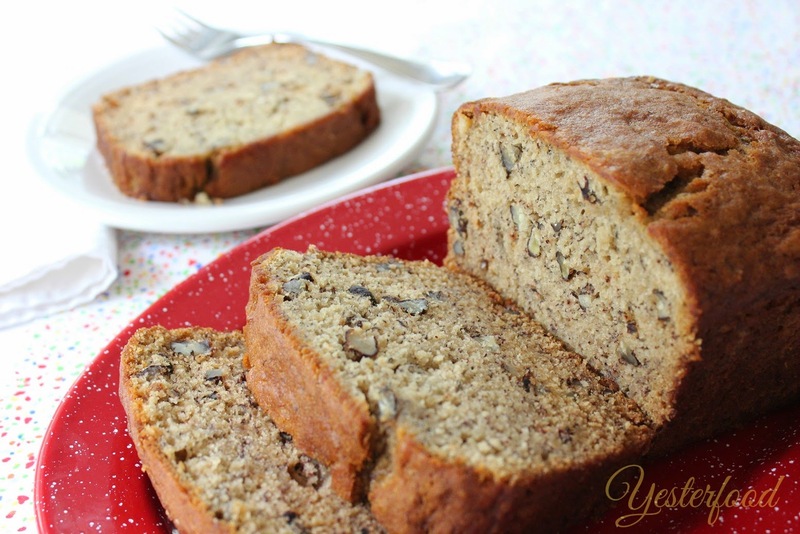 There's nothing like a slice of delicious banana bread - it's so versatile and perfect for breakfast, snacks or teatime. Your recipe looks delicious, Joy, and the photograph is mouthwatering! I agree with you about the appeal (ha ha! do you get it? "a PEEL!") of plain old unadorned banana bread! I have a recipe that I make with the grandkids. Before they go home with a loaf of it, I carefully slice off a little from each end - just to make sure it's "okay" for them to eat! - wink, wink! Banana bread disappears quickly around here. Yours sounds delicious. I throw my bananas whole into the freezer too. I tear off one end and sqeeze them out...kind of gross, but it works great! Thank you for sharing at What We Accomplished Wednesdays. Have a great weekend! I like my banana bread plain and simple. Topped with butter of course. lol! No chocolate chips for me. I have a good recipe but it is hard to get it cooked well in the middle. I am going to give yours a try. Thanks for sharing with SYC. I would love a nice slice of your Banana Bread to go with my morning coffee. Banana Bread always has that special smell, and I promise I can smell this bread. Thanks so much fo sharing with Full Plate Thursday today and have a fantastic weekend! Thanks for sharing again with us at the #WWDParty - have a wonderful weekend. I'm always looking for a good banana bread recipe. This looks delish! I always appreciate a good banana bread as this one! Perfect for breakfast! You can't beat a banana bread that is fruity and most. This one looks perfect! Delicious banana bread Joy, my family love banana bread . Thanks for sharing with Hearth and Soul bloghop. G'day and just had to stop by again Joy and say what a lovely banana bread and congrats for also being featured in this week's Olive and Grapevine newsletter! Mmm, I love banana bread, and this recipe is almost the same as mine! Thanks for sharing at Fridays Unfolded, and you're one of the features this week! I have to confess that I'm one of those people who has to add chocolate or bourbon or something to Banana Bread. But my husband much prefers classic Banana Bread. I'm a fan of using buttermilk for sure. Thank you for linking this week, Joy. Thanks for linking up to #GetHimFed last week. I'm featuring your post on #GetHimFed No. 38. Can’t wait to see what you bring this week. We party from early Friday morning through Sunday night every week. I’ve also pinned to our #GetHimFed Pinterest board. I love banana bread. Hello from the Lou Lou Girls Fabulous Party. Oh. My. Yum! I love banana bread! Thank you for sharing your creativity at my Show-Licious Craft & Recipe Party. Join the party each Saturday morning! I adore banana bread and your right sometimes a good old plain banana bread can be yummy all on it's own. Thanks for linking up to Sweet and Savoury Sunday, stop by and link up again. Have a great day!! I end up trying a different banana bread recipe every time. I need to try your recipe next! I love banana bread! Reminds me of Fall. I don't know why I only make it in the Fall. It's kind of like pumpkin pie in that regard. Hi Joy, I'm always on the lookout for a good banana bread recipe and this one looks perfect1 Pinned and stumbled!